September 2014 and all materials will professionally archived. First opened to the public 23rd December 1865 the Crystal Palace Subway is the focus of a community history project that will be recording the memories of local people. Friends of Crystal Palace Subway has successfully trained 7 members of the community in oral history interviewing and sound recording techniques, and is now seeking participants for its exciting project ‘Inspired by the Subway’. 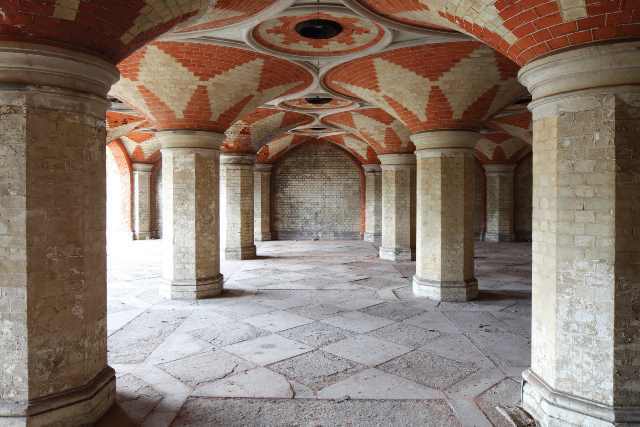 Recently the recipient of a £10,000 grant from the Heritage Lottery Fund’s Sharing Heritage Programme, Friends of Crystal Palace Subway is a grassroots community group working to reopen the Subway to the public and improve educational and heritage events and facilities. The project is committed to delivering training opportunities to local people in research, media and heritage skills. Participants gain a greater insight into the history of the Subway and the local area, as well as having the opportunity to put this knowledge to use by hearing and recording the memories of how people have used and enjoyed this part of our past, one of the few surviving features associated with the Crystal Palace. The subway was originally used as an underpass between the now-extant Crystal Palace High Level station and the Palace itself, and now sits underneath the main road marking the Bromley and Southwark boundary. With its Byzantine inspired architecture and stunning geometric brickwork, the subway is a hidden gem of the Victorian era, first opened to the public 23rd December 1865. The subway was used as an air-raid shelter during the Second World War and formally closed to the public in 1954. Friends of Crystal Palace Subway ultimately aims to reopen the space to the public. The Crystal Palace area is a hotbed for local heritage groups and the interest shown by the community in the project has already been strong. From exploring children to illicit parties, the project hopes to hear from anyone with a memory of the subway, no matter how small. These recordings will be part of a fuller archive to be housed at the London Metropolitan Archive, and thus made available to future researchers, they will also be available via the project website. Findings will be collated in an Open House London exhibition on the 20th-21st September next year, focusing on how the subway was enjoyed by the Crystal Palace community. The Friends of Crystal Palace Subway is a grass roots community group that has been working with local authorities (London Boroughs of Bromley and Southwark) to open the Crystal Palace Subway for scheduled public access; inclusion in Open House London 2013 is a significant step. The Friends work with the community, local charities and organisations to develop and improve educational and heritage events and facilities. Their main focus is to reopen and reuse this unique local feature. Through active consultation with local communities the Crystal Palace Community Development Trust has been able to initiate a number of projects. These include managing the Anerley Business Centre and Halls in Anerley, Bromley, to provide support for small businesses, as well as activities for people of all ages. Opening of the Kingswood Estate Community Shop in Southwark, equipped with computers and internet access for use by the people living on the estate. Youth activities, including a youth club for children of all ages and art classes for children aged 8 to 15. Activities for the elderly, as well as learning and employment support. Sharing Heritage is for any not-for-profit group wanting to explore their community’s heritage. With a commitment from HLF of £3m each year, Sharing Heritage grants between £3,000 and £10,000 are now available to groups who want to discover their local heritage. Projects can cover a wide spectrum of subjects from exploring local archaeology and a community’s cultures and traditions to identifying and recording local wildlife and protecting the surrounding environment to managing and training volunteers, and holding festivals and events to commemorate the past. Using money raised through the National Lottery, the Heritage Lottery Fund (HLF) aims to make a lasting difference for heritage, people and communities across the UK and help build a resilient heritage economy. From museums, parks and historic places to archaeology, natural environment and cultural traditions, we invest in every part of our diverse heritage. HLF has supported almost 35,000 projects with £5.5bn across the UK. www.hlf.org.uk. Images available on request.